Our stick maker Joe Solotes, who worked for and learned the art of stick making from Wesley Patterson at Tuskewe Krafts, has acquired the rights to the Patterson brand and is once again producing Patterson Lacrosse sticks. Our line of Patterson Miniature Wood Lacrosse Sticks make great Graduation Gifts, Team Awards, Tournament Trophies, Baby Gifts and Souvenirs. In addition to our mini-sticks, approximately late summer of 2018 we will be offering full size Patterson Lacrosse sticks. Initial models offered will be Men’s Field, Women’s Field and Box sticks. Goalie sticks will follow later. 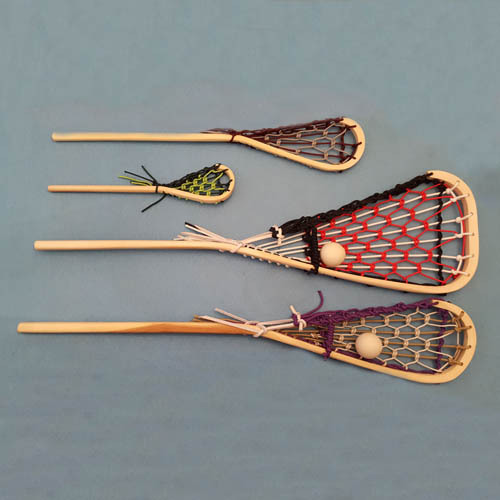 Miniature Wooden Lacrosse Sticks make unique Lacrosse gifts for Graduation, Baby Gifts and other Special Occasions. Personalize your stick with lacing in your school or favorite colors and let us personalize it for you with laser engraving. 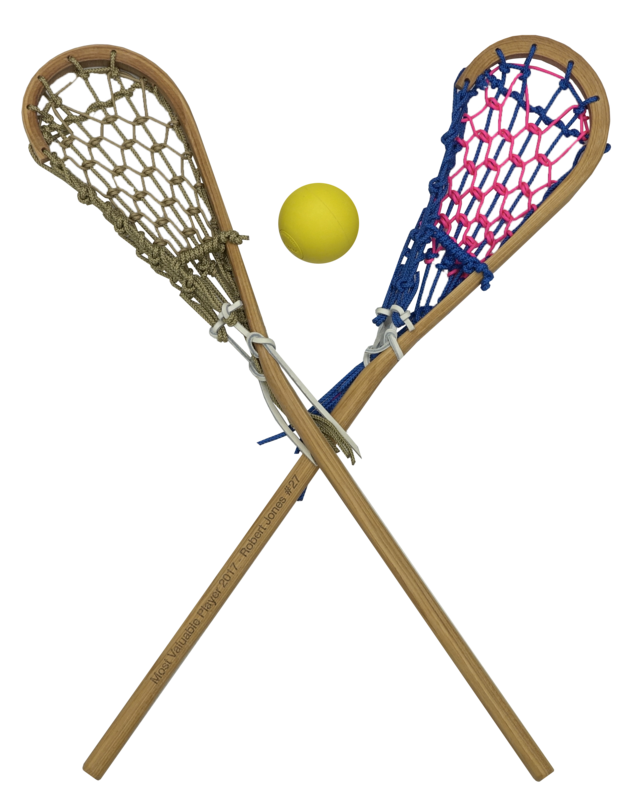 Our Mini Wood Lacrosse Sticks make great team awards, for individual or team accomplishments. Also a great addition to other projects. 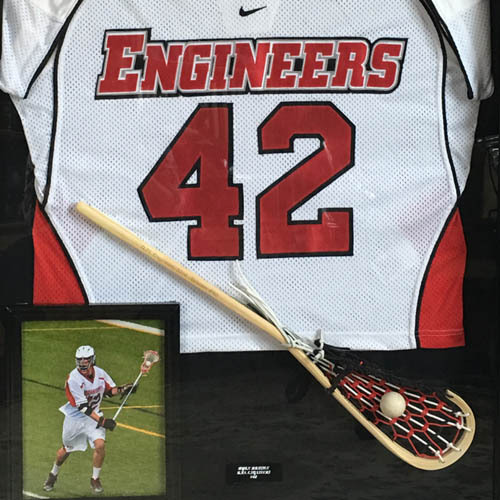 In 2001 I began engraving the Patterson mini lacrosse sticks which were made by Wes Patterson’s company Tuskewe Krafts and sold thru the lacrosse stores in the northeast United States. 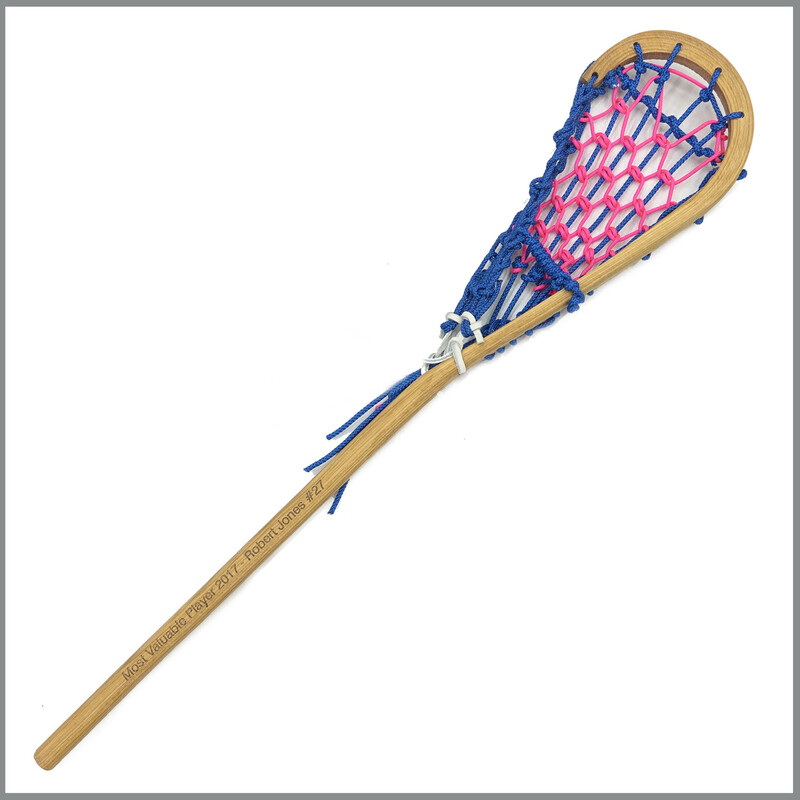 Unfortunately, Wes Patterson passed away in 2000, but the company continued making sticks until 2010 with Joe Solotes as primary stick maker.